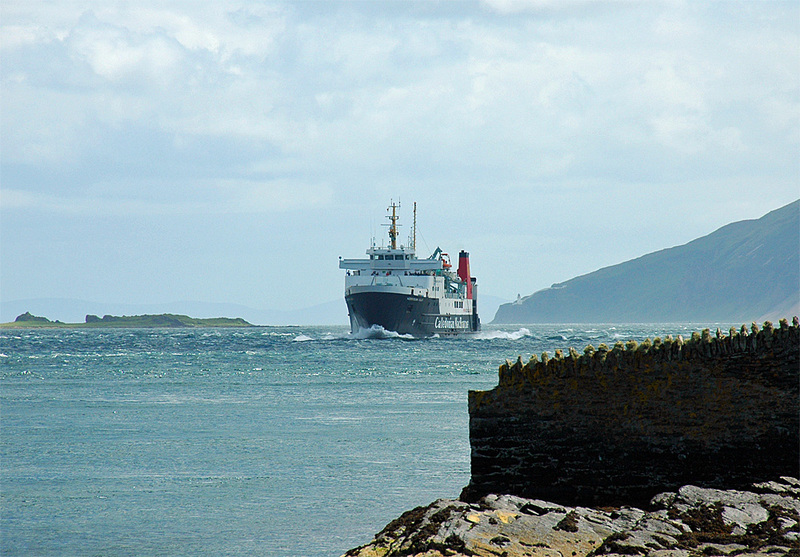 A view of the Calmac ferry MV Hebridean Isles approaching Port Askaig along the Sound of Islay. In the distance McArthur’s Head lighthouse at the southern end of the sound. This entry was posted in Landscape, Lighthouses, Repost, Sunny Weather and tagged ferry, Islay, Jura, McArthurs Head, MV Hebridean Isles, Port Askaig, Sound of Islay by Armin Grewe. Bookmark the permalink.